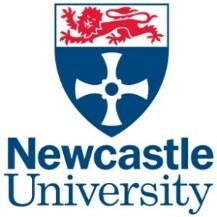 This page gives you all the details and forms for our own CBA North Conference/Workshop. 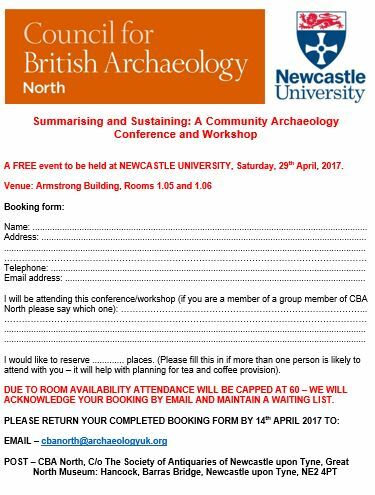 It includes the announcement and invitation, programme and booking form for our own CBA North event on Saturday, 29th April 2017. In this page we have also provided downloadable versions of the documents in case you would like to circulate them around your own local group, and contacts, as well as to fill in and book yourself. We hope that many Members and Followers will join us for what promises to be a most interesting day. In the event that there too many people wish to book, we will maintain a waiting list. If you would like to download and circulate this around your contacts and local groups, then the link to the file is as announcement and invitation. A download of the programme is also available for you here. We will need you to book places for attending this event – this will help us in circulating the workshop discussions later. You are can print out and fill in the booking form below, before sending it back into us at cbanorth@archaeologyuk.org. A downloadable version of this, as a .pdf, is here for you as the booking form which can also be filled in and sent back to us. A Word booking form is also attached here for you here.